The art of slow travel has nearly been forgotten, says adventurer Stevie Anna Plummer, who plans to ride more than 1000 miles through the wilds of Patagonia. Plummer, who aims to set off on her South American ride in November 2017, says modern-day explorers are rediscovering the joys of the slow journey, enabling them to connect to elements often missed by traveling at what she calls unnatural speeds. Plummer intends to use two Criollos – hardy Argentinian horses – on her trip through Patagonia, which connects Chile and Argentina. Portuguese explorer Ferdinand Magellan first cast eyes upon the region in the early 1500s, although it had been inhabited for countless generations by a tribe of nomads known as the Tehuelche. She hopes to delve deep into the rich history and culture of its inhabitants, especially the Gauchos, the hardy cowboy roamers who have found a way to co-exist in a more “modern” Patagonia while still preserving the old ways of their people. Gauchos and their families have worked these lands and estancias − ranches − for generations. Plummer hopes to discover, document and share their stories during her ambitious solo horseback journey with her dog Darcie. Patagonia, Plummer says, is a land that refuses to be explored by any other means than traditional horse-packing. It provides a traveler the chance to step back in time while exploring the culture and rugged, unforgiving landscape. The region, she says, is one of the last untouched places on earth. Plummer grew up in the woods of Oregon and the deserts of Texas, but ended up in Patagonia. “As a former West Texas rodeo kid, it’s safe to say that I’ve spent more days with horses in my life than without,” she says. Her life has been filled with adventures since. Stevie Anna Plummer has been living in Patagonia, immersed in the region’s culture. So far, she has traveled to 49 US states while living out of her van with Darcie. She has had the pleasure of guiding back-country horse trips both in Alaska and Minnesota, and has special memories of some of the country’s most beautiful places, from the glistening rocks and waters of Yosemite to the mountainous horizons in Colorado. But her solo travels through South America captured a special place in her heart. She says she fell in love with the vast, wild land that is Patagonia. “I never left,” she explains. 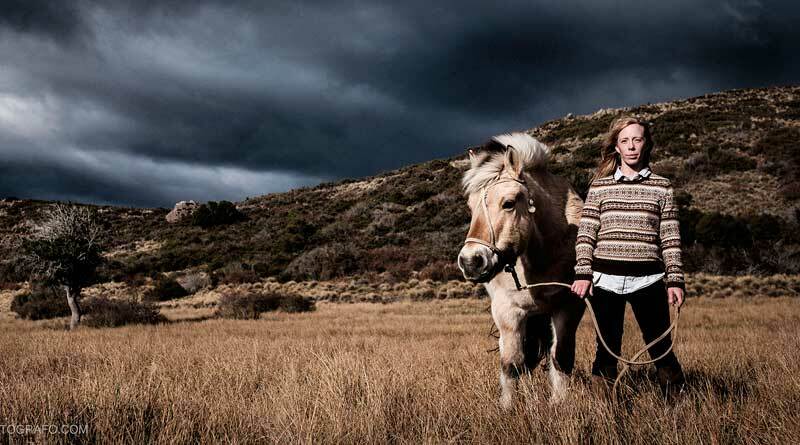 On arriving in Patagonia, Plummer met Patagonian gaucha legend Carol Jones. Jones took her under her wing. “I was eager to learn all I could from the way of the gaucho,” Plummer says. Jones’ family ties go back decades. She is considered “the granddaughter of Patagonia”. Her grandfather was the first to settle in Bariloche. The Jones family name stretches across the Andes and prairies to the south. Butch Cassidy and The Sundance Kid were close friends with Jones’ grandfather. Jones has helped to teach Plummer the ways of her people. She will set off on her journey in a year’s time, having learnt the language and customs of gauchos. “Even the most desolate areas of Patagonia are quilted with estancia fences,” Plummer explains. “Traveling as a gaucha, working and staying with local gauchos along the way, and speaking the language will allow me to pass through fences, estancias and areas others cannot. “Patagonia is filled with inspiring tales and unaltered truths from the distant past,” she says. Plummer hopes she will be able to share some of those stories with the world. Learn more about Stevie Anna Plummer’s trip at Stevieanna.com.